The Wild Atlantic Hostel at Delphi Resort is a newly built (2018) state-of-the art 200-bed hostel located within the 300 acre grounds of the award-winning 4-star Delphi Resort. Situated in the heart of the Delphi valley, the Wild Atlantic Hostel is the perfect getaway for anyone seeking affordable accommodation near Connemara and is the perfect location from which to explore the spectacular Wild Atlantic Way. The Wild Atlantic Hostel at Delphi Resort is ideal for outdoors enthusiasts, hill walkers, couples, groups, families and more, with all the extras to make your break exciting, relaxing and adventurous. Our relaxing lounges, Library, Spa, Café, Restaurant and Bar are all designed to capture the breath-taking mountain views that the resort enjoys of Mweelrea Mountain, Connacht's highest peak. 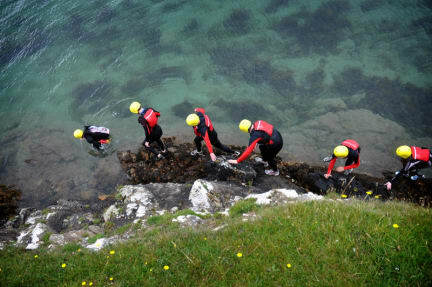 From the hostel you can take part in any of the resorts Adventure Centre's renowned water or land based activities - explore the walking trails, kayak Ireland's only Fjord, or even rent a bicycle and go as far into the valley as your pedals can take you! Shared, private, disabled and family rooms are available, all en-suite, with state-of-the-art beds featuring individual locker facilities, privacy panels, reading lights and charging points for electronic devices, together with Orla Kiely furnishings. The extensive range of facilities in this contemporary building include a large communal lounge with flat screen TV and cooking facilities. Guests have the option to avail of the hotel's spa, adventure, dining and business facilities. 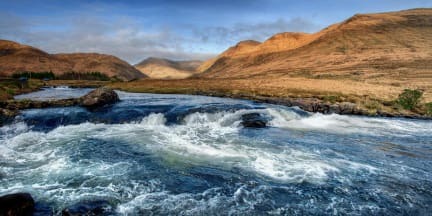 Come join us in this breath-taking region of Connemara and be part of the adventure. We are located 30km from Connemara National Park. We take pre-authorisation on arrival. It's a great location next to a luxury spa and hotel. The only problem: there is no kitchen, because the hostel is part of the hotel. Hinter einem schönem Resort gab es eine Schlecht ausgestattete und dreckige Küche und bewohnbare kleine Schlafsäle für die Hostelgäste. Die Angestellten waren trotzdem stets bemüht uns zu helfen.